The Rent Fitness Equipment Company: Rent This Hotel Fitness Center $597 Month to Month, FREE Maintenance & Repairs Forever. 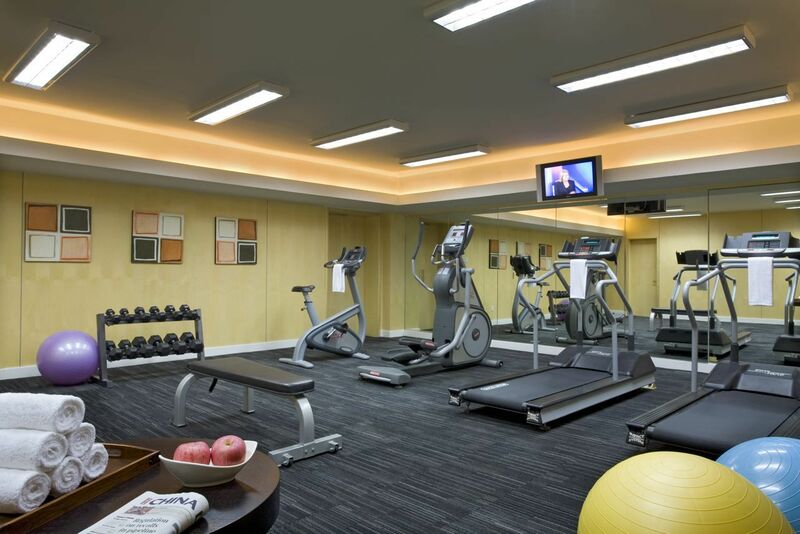 Rent This Hotel Fitness Center $597 Month to Month, FREE Maintenance & Repairs Forever. Rent a Hotel onsite fitness center for only $597 per month that includes regular maintenance and Free repairs included. The Rent Fitness Equipment Company is the preferred vendor for national hotel and property management corporations. This turn-key program is easy to get started and even easier to cancel. This is a true month to month rental with only a 30 day contract to sign. This off-balance-sheet-transaction keeps the accountants happy and managers job easy in regards to the onsite fitness center amenity. 2 x Star Trac Health Club quality treadmills that can be used 15 hours every day. 1 x Star Trac Health Club quality elliptical crosstrainer that can be used 15 hours every day. 1 x Star Trac Health Club quality upright exercise bike that can be used all day long. 1 x Dumbbell set (6 pairs) with an adjustable utility workout bench. This is a perfect onsite hotel fitness center package for a property with from 50 to 100+ rooms. It is amazing that a hotel manager can pay one month at a time for this professional package at only $19 dollars per day? That is only .79cents per hour! Then to realize this includes the maintenance and all repairs FOREVER. Fitness Equipment Rentals in Miami, Tulsa, Minneapolis, Arlington, Wichita, St. Louis, Raleigh, Santa Ana, Cincinnati, Anaheim, Tampa, Toledo and 48 states.